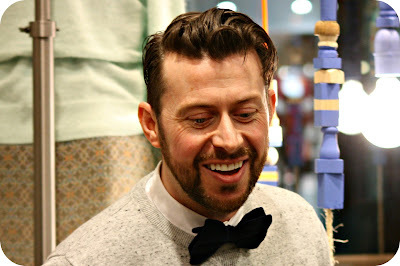 Things Wot I Have Made: Anthropologie and Selvedge Magazine: Pop-up Shop! 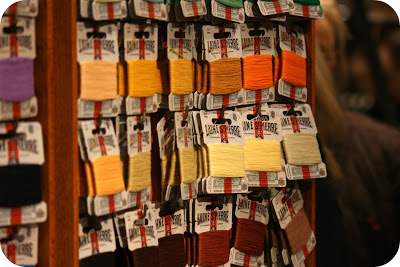 Anthropologie and Selvedge Magazine: Pop-up Shop! Picture the scene; a veritable rainbow of Laine St-Pierre, Liberty print bias binding, Merchant and Mills sewing notions, a moth with wings of carpet AND A GLASS OF SPARKLING WINE. What a civilised setting for a Thursday evening. Anthropologie, American emporium of vibrant textiley, fashiony, homewaresey temptations is enjoying an affaire de cœur with Selvedge magazine, British publication full of textiley, fashiony and occasional homewaresey reportage. The result of this fleeting match made in heaven? 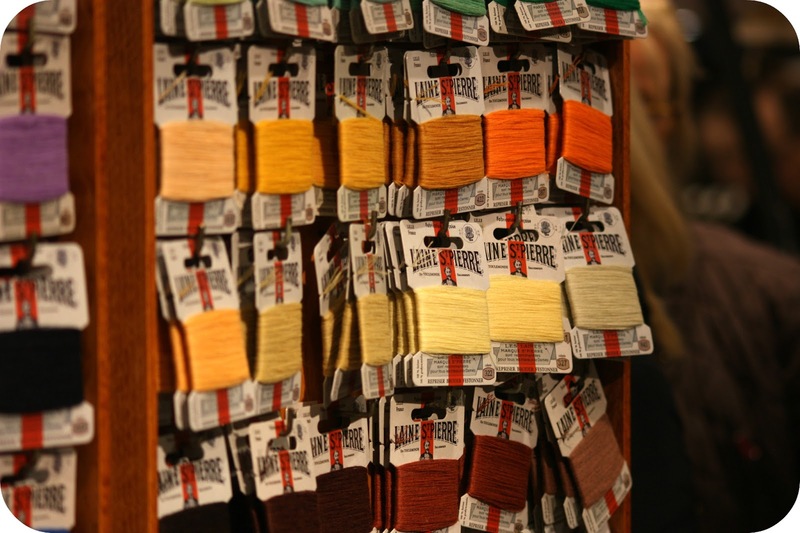 Selvedge's pop-up shop in Anthropologie's King's Road store, February 14-March 29. Fear not, your eyes do not deceive you. 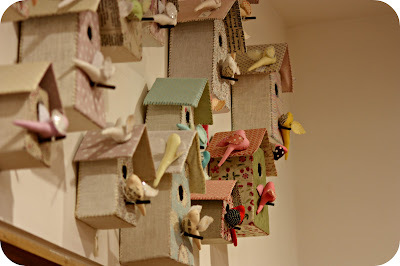 These are indeed fabric birdhouses with fabric birds. I want one, please. And Thursday night was the launch. Just in time for London Fashion Week. Huzzah! 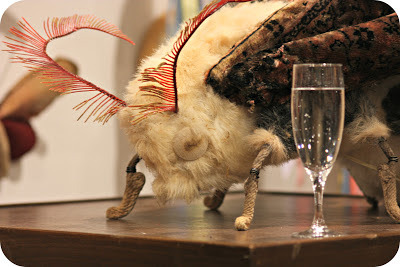 Mister Finch, creator of the aforesaid carpet moth and other sylvan objets d'art in the pop-up, was also present as host of a "how to make your own rosette" workshop. And what a star! The attendees were in thrall not just to the rosettes but the self-taught textile artist himself. Captivating and witty Mister Finch put on a marvellous show for the punters... Some of whom had travelled from as far afield as South Wales and Japan for the evening. Yes, South Wales and Japan! I bet you weren't expecting those locations juxtaposed in a sentence. So if you're wandering about Sloane Square and its environs soonish, do duck in and have a look. Should you seek luxe haberdashery and a chance to admire Mister Finch's elaborate, fabric oddment'd creations, well, you'll find both at Anthropologie, 131-141 King's Road, SW3 4PW. And can someone please give that carpet moth a home. Before I do. It's a moth with carpet wings. Enjoying a glass of something. I would love to visit the pop-up, sadly it will be gone before I visit London again. I thought the bird houses were beautiful but the moth is tempting in the extreme.